Everybody, rock your body right… Bitcoin’s back, alright! 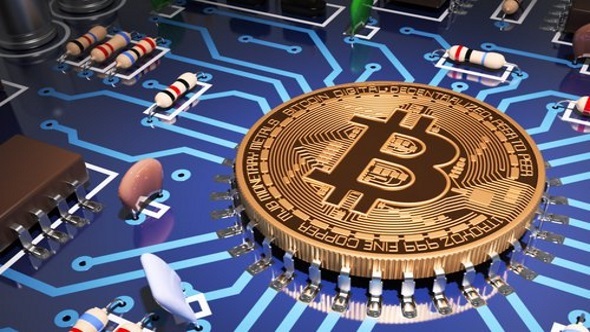 Oh my god it’s back again, Cryptocurrency is set to make a comeback as Bitcoin heads towards a monumental algorithm change in May 2020 – just as the SEC moves towards legitimising the digital currency. But not to worry, gamers’ GPUs should be safe from industrious miners this time around. Bitcoin is still way, way off its highs of nearly $20,000 over a year ago, but Bitcoin connoisseurs are holding out hope for a resurgence after a recent market bout of upwards momentum. The CEO of the deVere Group investment firm, Nigel Green, while staying skeptic to the crypto’s value, believes there are a few reasons why it could be on the up-and-up yet again. One such factor is thanks to a leaked interview with an SEC commissioner, which points towards the SEC softening their view on a Bitcoin ETF. An ETF is a blend of an index and a stock – it’s a tradable ‘basket’ of securities – in this case Bitcoin – that, when traded altogether on an exchange, should make cryptos a little more accommodating to investors. There have been a number of applications to start a Bitcoin ETF, including one from your favourite Harvard entrepreneurs, the Winklevoss twins, but so far the SEC has denied them all. The growing positive sentiment around crypto’s is also having an affect on other coins, such as Litecoin, which has skyrocketed 40% in just three days. But that’s not all that’s swinging in crypto’s favour. Bitcoin is also gearing up towards a major algorithm change in May, 2020. Every four years Bitcoin gets a little stingier, with coins being rewarded 50% fewer as miner’s hit those all-important hashes, and there’s usually a bit of a surge around these Bitcoin halving events. That may strike fear into the hearts of gamers everywhere after the GPU shortages of yesteryear, but it’s unlikely that Bitcoin’s crypto-peers will return to their incredible profitability for do-it-yourself miners anytime soon. Previously GPU-centric coins have mostly switched to being ASIC-focused, meaning graphics cards shouldn’t be stolen away from us gamers. So maybe by early 2020, with a little help legitimising cryptocurrencies from the SEC, we could see Bitcoin bounce back. But unless profitability really soars – and I mean really soars – with the upcoming code change, mining will remain well in the domain of ASICs and mining farms when it does. With Bitcoin valued at $3,590 as of today, that day is still a long way off yet.